The easiest way to learn a foreign language is to speak it and, at Berlitz, you have this opportunity! 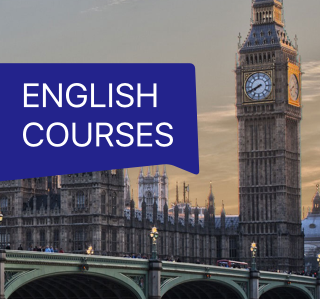 Whether you are a beginner or already have previous knowledge, our native speaker teachers will help you reach your goal! You dive into the language and achieve maximum learning success within the shortest space of time. When it comes to planning your time, you have complete flexibility. Benefit from the special motivation of a group lesson, lower prices and fix schedules. Berlitz offers a private teacher working closely with your employees to achieve your company goals. E-Learning and Instructor-led online solutions that provides you with customized language instruction. 1-day workshops to prepare you for life and work abroad. The content and materials used in the courses focus on your industry. This gives employees the ability to immediately apply the language skills in their job and increase their business performance. The combination of immersion in the language and specialized course content guarantees your company achieve your language goals efficiently. For greater flexibility, we will work with you and with your employee to determine when lessons will be scheduled. You can choose to have the lessons at one of our facilities or arrange for the trainer come to your company. The Berlitz solutions for Face-to-Face Instruction offer you maximum flexibility for your language training programs. Contact one of our consultants to obtain more information about the perfect solution for your employees.